The agency has been run by Rachel Calder since 1993. It was founded in 1896 by one of London's first literary agents, J B Pinker, and has a distinguished history. Pinker's nurtured the talents and literary affairs of Joseph Conrad, H G Wells and Arnold Bennett. 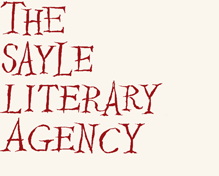 The agency has continued to represent the best British and international writers, including D H Lawrence, James Joyce, Henry James, Robert Graves, Rosamund Lehmann, Irwin Shaw, Dashiell Hammett, William Styron, Shelagh Delaney, Ronald Searle, and Brendan Behan. In keeping with the original ethos of the agency, the list is still kept deliberately small so we can work closely with our writers, placing them with committed publishers to reach the widest readership. Our current roster have won prizes and accolades, spent weeks on bestseller lists all over the world, broken extraordinary news stories, brought fresh perspective to old conundrums, forged groundbreaking new theories and all are writers who try to make us look at the world in a new light. You can click on the Authors page and marvel at them. We use specialist co-agents to sell our books in foreign language markets, in the USA and for film and TV. Foreign rights: The Marsh Agency, London. Film and TV rights are usually handled by Sayle Screen.